Are you looking for a Seattle WA house lifting company? Perhaps you want to move your house to another area of your property. You’d like a better view from your house, or you’d like to be further back from your property’s entrance. Maybe you are looking for a Seattle WA house lifting company because you want to build a full basement, or a second story underneath your current structure. Whatever your reasons, Kunkel Moving and Raising has you covered! We have over a century of intergenerational experience as a Seattle WA house lifting company. We have lifted and moved large and small houses. Additionally, we perform all the necessary foundational support work you would expect from a Seattle WA house lifting company. We lift houses, underpin foundations, build extensions beneath homes, and move entire houses. Finnally, we will help with the permitting process as we help you choose the options that are right for you. We will guide you through the whole Seattle WA house lifting process. 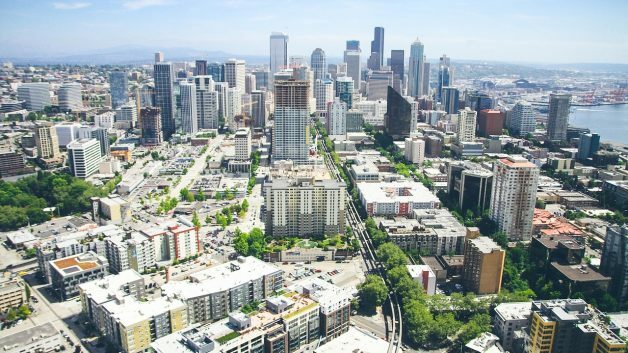 Seattle is growing in population, but the coveted land closest to the city is becoming quite constricted. Do you want to increase your living space, but do not have sufficient room to build outward? Seattle WA house lifting is the best solution for building upward instead. Once your home is lifted, we can build a strong structure underneath which will support the structure above. The best part is that there is no need to replace the roof! Call Kunkel Moving and Raising today at 1.800.490.4220 to discuss your Seattle WA house lifting options! No matter your house lifting needs, we are happy to assist you. We provide free consultations to anyone thinking of moving or lifting thier house in the Greater Puget Sound region.